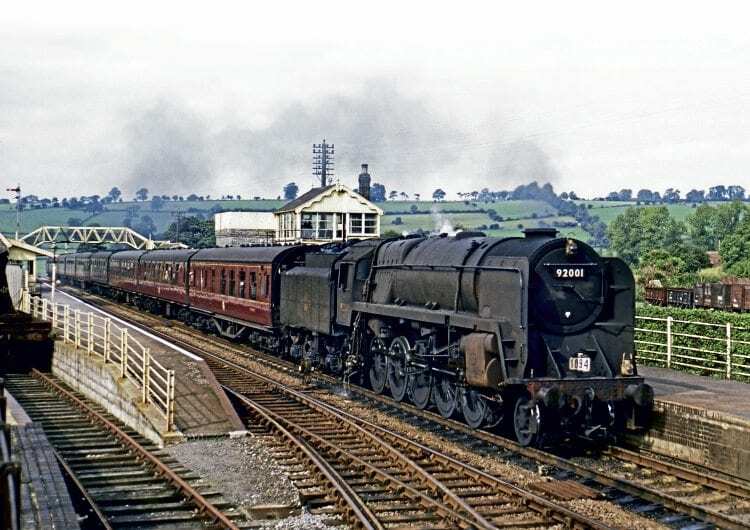 In the 50th anniversary year since the closure of the Somerset & Dorset railway, Keith Farr concludes his performance analysis by looking at the Bulleid and BR Standard classes that worked the route to its final day. PART one of this article (RM September) focused on ‘2P’, ‘7F’ and ‘Black Five’ performance over the Somerset & Dorset. During the Second World War, when the nation’s railway system was under Government control, the popular and reliable ‘Fives’ were transferred to areas of (allegedly) greater need. The ‘Dorset’ was only partly recompensed by the loan of former London & South Western classes, including ‘S11’ and ‘T9’ 4-4-0s, although an LMS Compound 4-4-0, ‘Crab’ Class 5 2-6-0s and, briefly, ‘8F’ 2-8-0s also did battle with the Mendip gradients. LNER ‘B12’ 4-6-0s, with their low axleload and high-route availability, proved ideal for hauling ambulance trains. ‘Black Five’ No. 5440 returned in 1944, to be joined by a number of the same class, and the Southern ‘strangers’ were sent ‘home’. Three new Ivatt Class 4 2-6-0s were allocated to Bath in 1949, but the double-chimneys they then carried did not match their boiler proportions, their steaming was poor, and in 1953 they migrated to less arduous duties elsewhere.